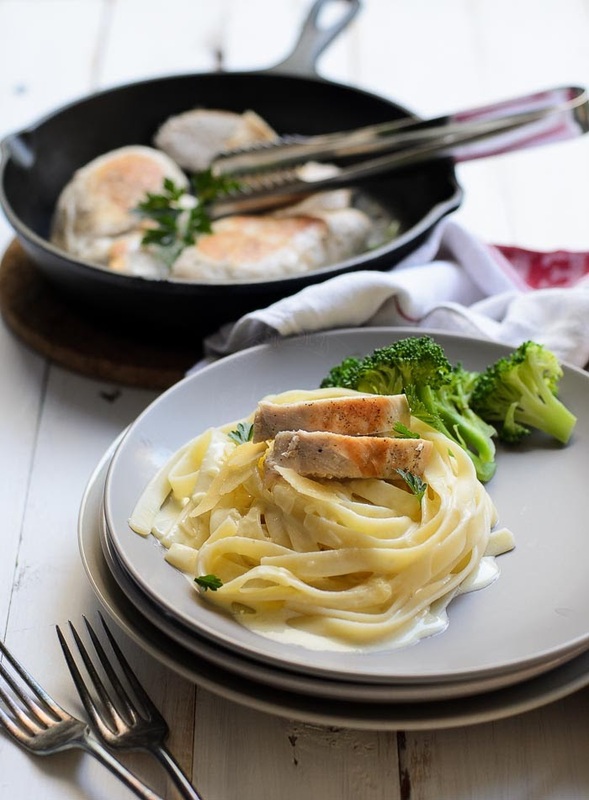 Creamy Fettuccine Alfredo serve with pan-seared chicken and steam broccoli. Is it spaghetti bolognese? Lasagne? Tuna Mornay? Pasta dish that you "must have- must cook", at least once a month? Its either spaghetti bolognese, pasta tuna bake, spaghetti marinara, chilli prawns pasta (summer pasta feasting) or just a simple, olive oil and lemon pasta. I have no favourite, but if I must choose, I tend to lean towards simple 'summer' cold pasta. After 20 over years, I wish I can give spaghetti bolognese a rest... for good! Seriously! I am kind of 'tired' of having spaghetti bolognese. My taste bud is yearning for something different! A pasta dish with anything but bolognese! A pasta dish that I have not tried, a pasta dish that everyone will be asking for an encore! Not wanting to sit down to sift through all my cookbooks, magazines on the bookshelf... I turned to my laptop for some assistance. Didn't take me long to chance upon this Creamy Fettuccine Alfredo recipe from Food Network (I think!). I did my usual... a quick browse through this Creamy Fettuccine Alfredo recipe, to see if I needed anything else! I was glad that I need not rush out to buy anything at all. I have all the ingredients to cook Creamy Fettuccine Alfredo. I need some meat to go with it... and I know that it will go well with chicken. Should I poached the chicken or should I pan-seared? 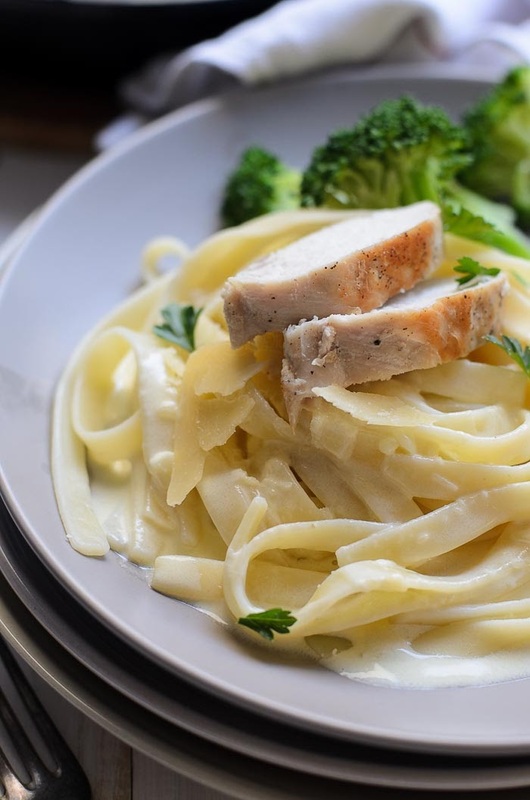 Both poached or pan-seared chicken breasts would go well with Creamy Fettuccine Alfredo, but I settled with the later. 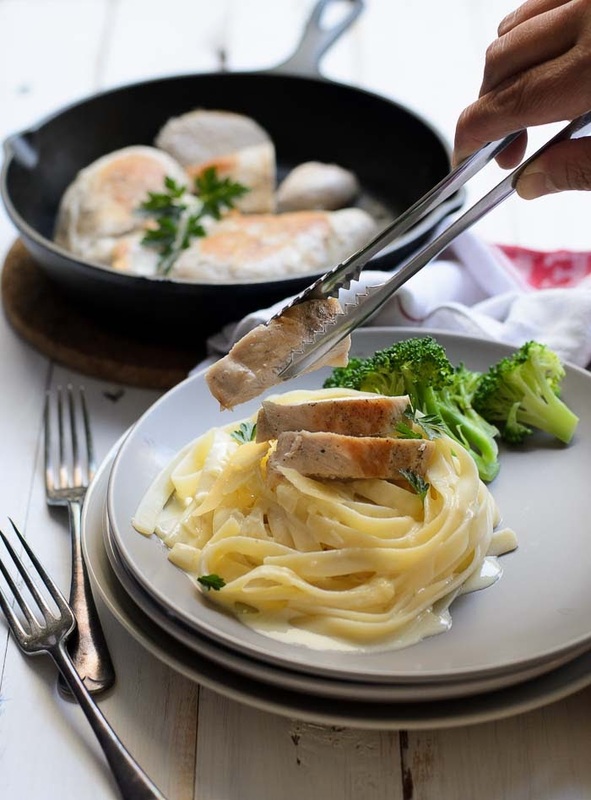 In my humble opinion, I think Pan-seared chicken gives in-depth flavour to this Creamy Fettuccine Alfredo. I might try with poached chicken next, just to satisfy the curious cat in me :). 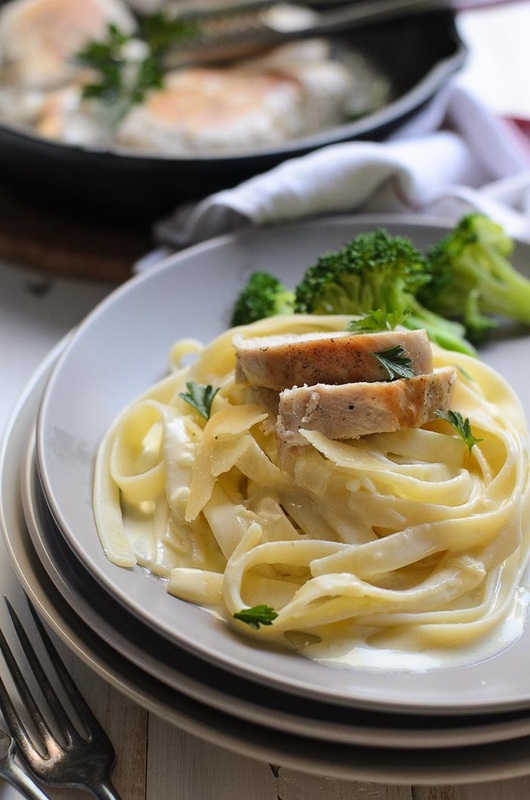 This simple and creamy Alfredo recipe is keeper. 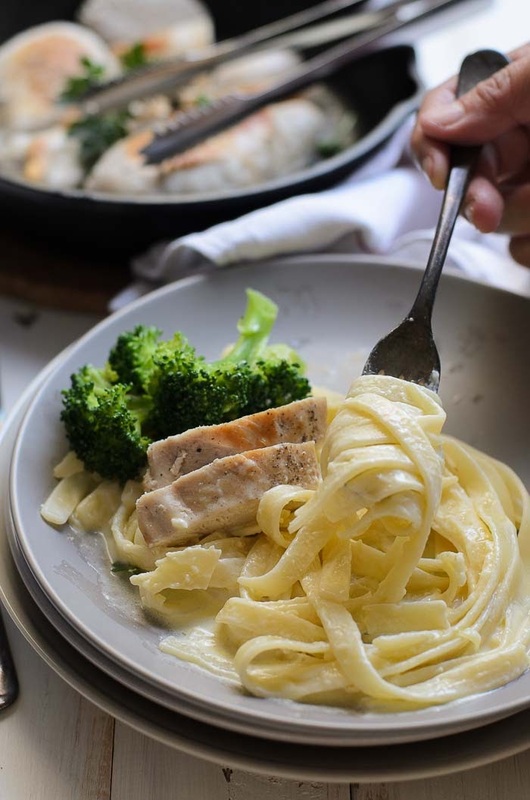 Perhaps I should use this creamy Alfredo sauce instead of Bechamel sauce :D.
Imagine.... my lasagne or pasta tuna bake will be so creamy and rich :P.
My pasta loving daughter has been asking for a repeat of this Creamy Fettuccine Alfredo. 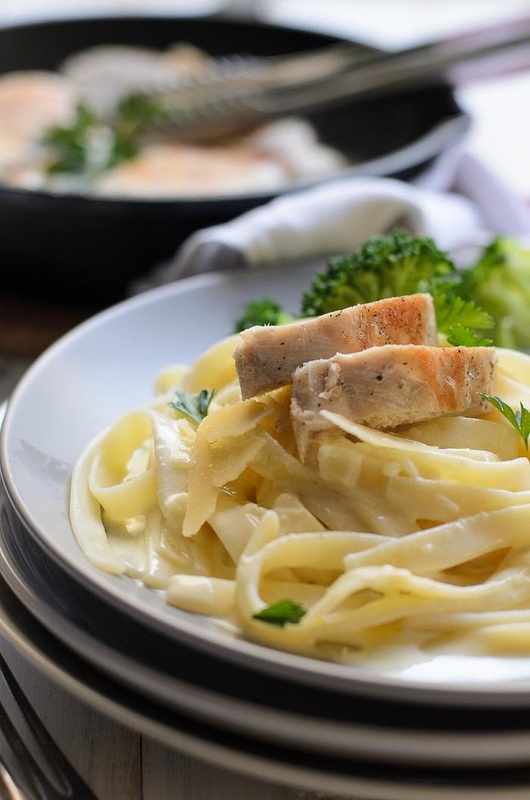 Creamy and tasty Alfredo sauce using parmesan and mozzarella cheese. 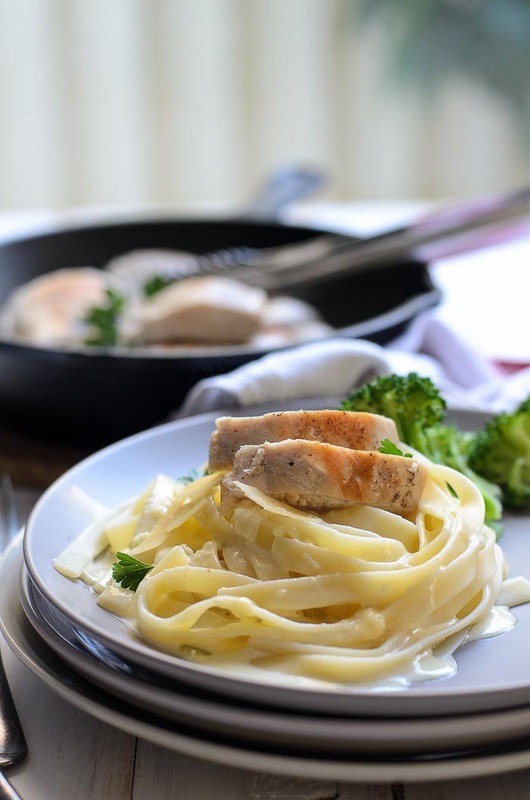 Serve with fettuccine, pan-seared chicken and steam broccoli. Transfer to plate and cover with aluminium foil. 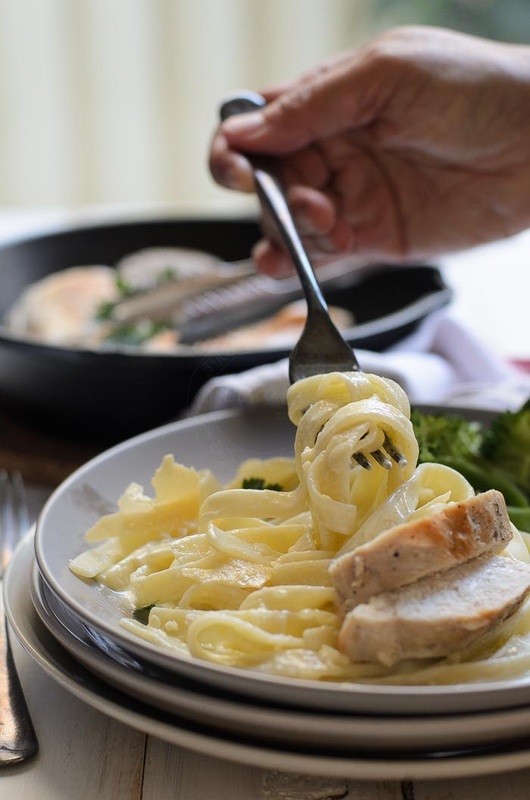 Cook fettuccine as per packet instruction. Over medium heat, melt butter with olive oil in a medium saucepan. Add parmesan cheese and simmer for for 5 minutes or until sauce is smooth and thickened. Wow! Yummy pasta! I love pasta and this combo of chicken and pasta is definitely a treat. Loved that delicious taste…cheesy Thanks for sharing this, will try this again for sure! Love your blog ,pasta recipe looks very yummy!!! I’ll definitely try to make this, Thank you! !